The ultimate blend of shark and machine. 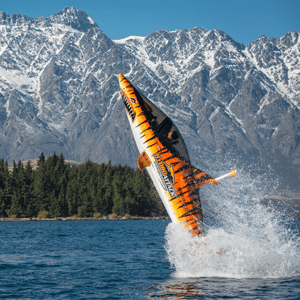 TAKE A BITE OUT OF QUEENSTOWN WITH A HIGH SPEED THRILL RIDE IN THE ULTIMATE BLEND OF SHARK AND MACHINE. 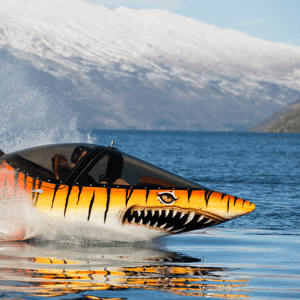 Reaching speeds of 80 kph on the water and 40 kph diving under the water, a one-on-one trip in Hydro Attack Queenstown’s shark is a unique adrenaline ride. It’s skimming across the top of the lake at 80kph then it dives under the water, surrounding you in serene liquid blue. Next your pilot points the shark at the sky and it blasts back out again, straight up into the air before shattering the lake into a million crystal shards on a screaming re-entry. 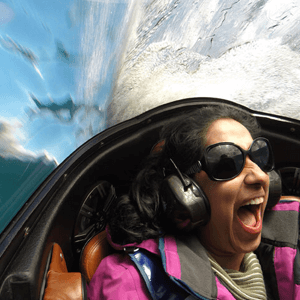 Whatever else you’ve done in the name of extreme excitement, nothing has prepared you for a ride in the shark. 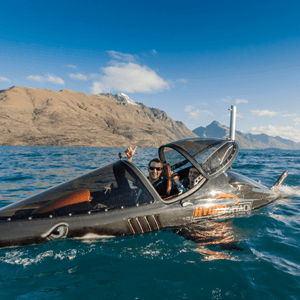 Hydro Attack is the world’s first commercial operator of these unique semi-submersible machines so while you’re in Queenstown don’t miss your chance to have a go. BOOK ONLINE AND SAVE – Save $15 per person on Hydro Attack Individual Shark rides when you book direct through our website and use the promo code SAVE15 at checkout. PLUS! Get $10 off your Photo/Video USB when you preorder it with any online booking. Only available in advance for direct website bookings and not available with any other offers or specials. 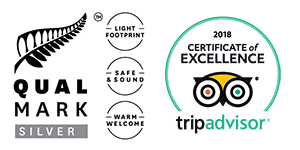 Valid for trips booked and taken before 7th July 2019. Terms and conditions apply. 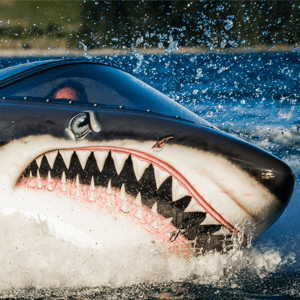 WHY CHOOSE A SHARK RIDE WITH HYDRO ATTACK? 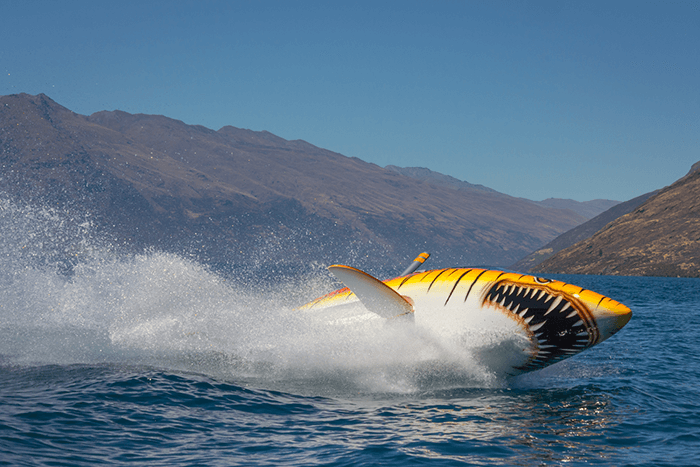 Hydro Attack is the world’s first commercial operator of the Seabreacher X watercraft. Jump in the shark vertically into the air. 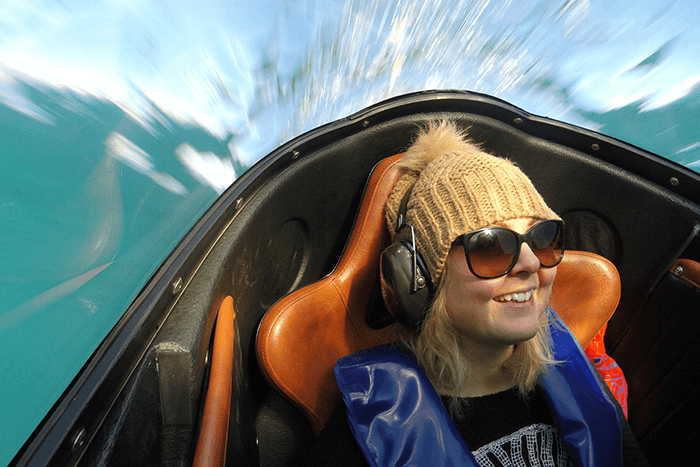 Experience tight g-force turns as you speed across the water at 80kph. Hydro Attack shark rides are one-on-one with the pilot so you can push your own limits and go as ‘mild’ or ‘wild’ as you want on your ride. Enjoy the view of the crystal clear turquoise waters through the glass cockpit as you dive under the water at 40kph. Fit more fun into your day. 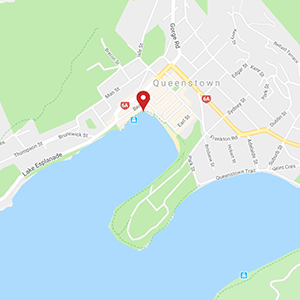 Our rides depart from Queenstown Bay, located on the lakefront in central Queenstown. 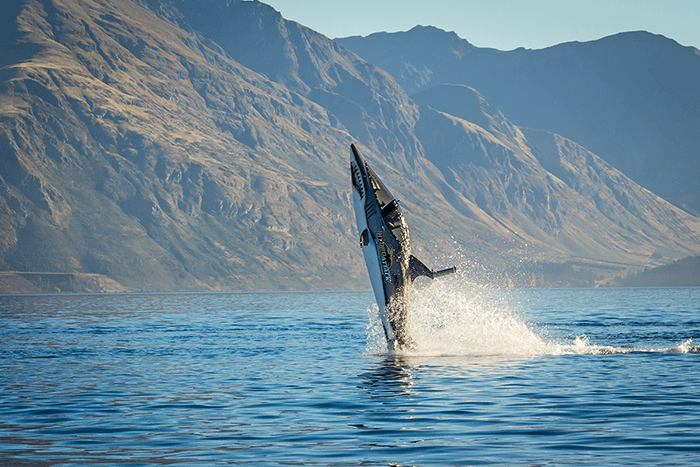 Hydro Attack is the World's First Tour Operator Of The Amazing Seabreacher X Watercraft.